How have I not read this before? 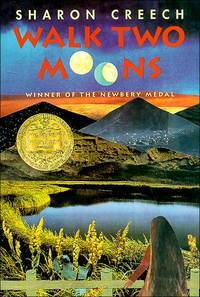 I’m realizing (over and over again) that Newbery books deserve the medals they’ve received. Walk Two Moons is no exception. If you haven’t read it, this is the story of Salamanca Tree Hiddle, who’s trying to find out what happened to her mom. It’s also the story of Sal’s friend Phoebe, and of Sal’s adorable grandparents. The writing is phenomenal, the characters are complex and beautifully written. And I couldn’t put it down, and when I finally did (when I finished), I was bawling. Sometimes those books are the best. I have a copy if anyone wants to come borrow it. But I think you should go out and buy it.